Many things happened in the 1920’s. Amelia Earhart became the first woman to fly, the invention of bubble gum occurred, and many other exciting events and happenings made headlines. However, after a certain law was set into place, a rebellion began, one that was dark and devious. What was used to bring crime rates DOWN resulted, ironically, in the sky rocketing of gang activity and other criminal offences. This was the prohibition of alcohol in the United States and Canada, commonly referred to as Prohibition. People were not willing to accept these terms, and so the birth of the “speakeasy” came forth. Similar to it’s location in the Northside Marriott, Speakeasies were hidden sections of an establishment that were used to illegally sell alcoholic beverages during Prohibition. Some speakeasies were similar to today’s clubs, as there was singing and jazz performances. To enter a speakeasy, one would need to say a password to the doorperson so that the doorperson would know whether or not they were really secret agents. You find many similarities entering the Northside Speakeasy through our phone booth. 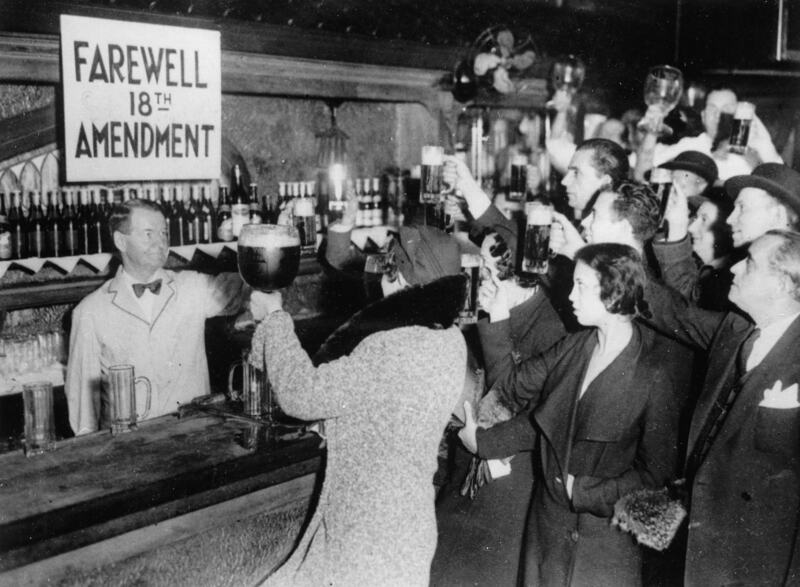 It has been said that for every legal saloon before Prohibition, at least half a dozen speakeasies were put up after Prohibition. This was most likely because being the manager of a speakeasy was easy money. The word “speakeasy” came from a bartender’s term: people were supposed to “speak easy” when at a bar, meaning not to draw any suspicion towards buying alcoholic beverages by looking nervous or talking quickly. During Prohibition, the U.S. Treasury Department authorized physicians to write prescriptions for medicinal alcohol. Licensed doctors, with pads of government-issued prescription forms advised their patients to take regular doses of hooch to starve off a number of ailments—cancer, indigestion and depression among them. Patients would obtain their prescriptions through a local Apothecary. Folk medicine techniques in the early apothecary, incorporating herbs and distilled spirits, are as old as known healing methods. Many of these ancient flower and herb-based remedies are still in use today, with the modern resurgence of concentrated flower treatments and herbal bitters used in healing, cooking and craft cocktails.